After years of late night study sessions, stressing over finals, and reports on books she never actually read, your favorite scholar is about to graduate. 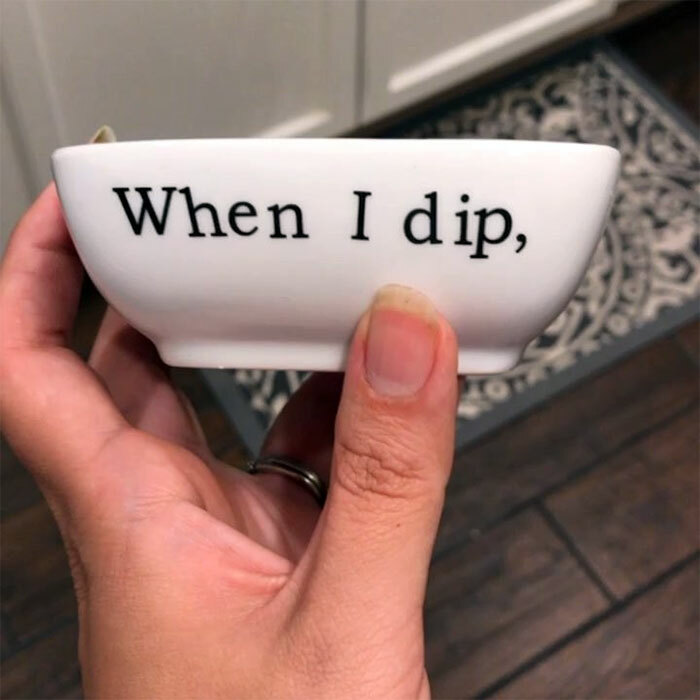 Before she walks across the stage and tosses her hat, you need to find the perfect graduation gift. Whether she’s getting her high school diploma or her master’s degree, big accomplishments deserve to be celebrated in style. Toss the traditional graduation gift ideas. She doesn’t need another photo frame or a gift card to the campus bookstore. What she really wants for commencement is jewelry! The Best Glam Gifts for Her. Graduation isn’t just about celebrating accomplishments; it’s also a launching point for new adventures and challenges. Give your favorite grad some wearable words of wisdom to inspire her during the next phase of her life. For tech-loving grads, Miriam Merenfeld Jewelry offers innovative necklaces featuring scannable QR codes that link to uplifting messages. The Follow Your Dream necklace is perfect for grads! Or, grab a chic cuff bracelet from Alisa Michelle. Featuring phrases such as “Do amazing things” and “Love the life you live and live the life you love,” these unique, hand-stamped bracelets will look fabulous as she embarks on the next journey. What better time to celebrate your grads unique identity and style than at graduation? A personalized charm lets her further customize the look, and get additional wear out of the piece, by moving it onto whatever length of necklace or bracelet suits her fancy at the moment. Heather Moore Jewelry has plenty of choices of colors, from gold to green. Personalize the gift with her initials or monogram on the front and her graduation date on the back. Each time she wears it, she will remember her milestone day. Glam Gifts for Grads: Personalized Charms. Her cap and gown isn’t exactly a flattering or fashion-forward look. Even when she is blending in with a sea of identical graduates, she will want to showcase her style. Colorful rings are perfect for accessorizing her commencement look. 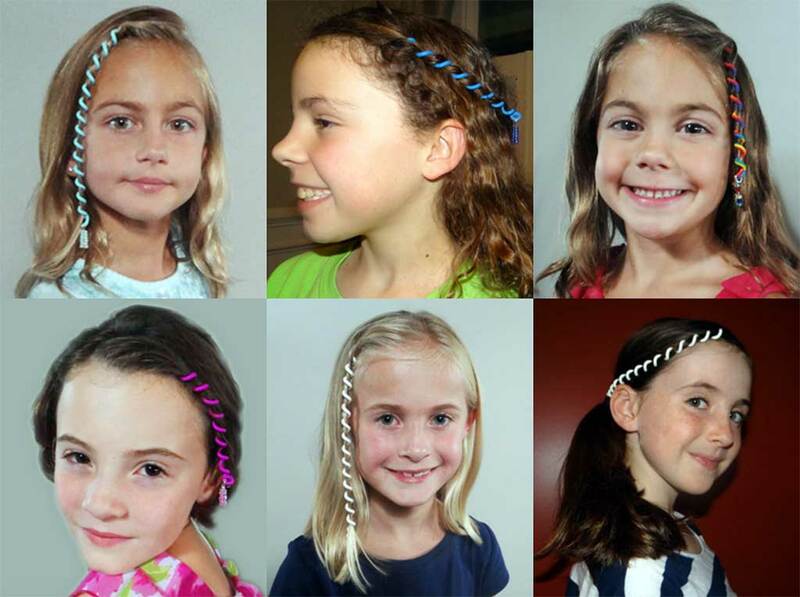 Choose one in her school colors for a keepsake that will remind her of her school days for years to come. Tresor offers gorgeous gemstone rings in a range of shades that are both timeless and stylish. 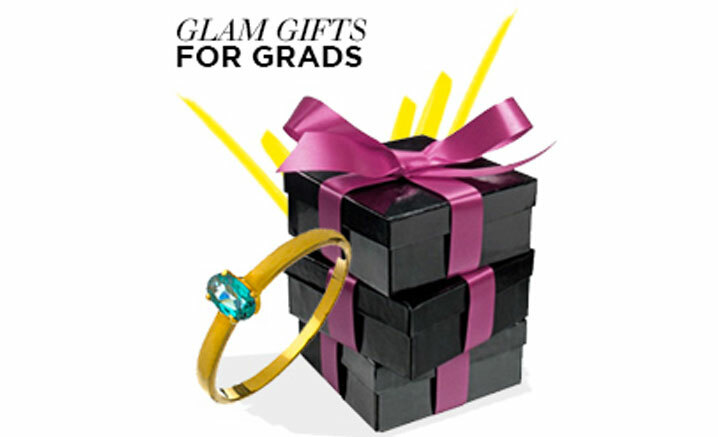 Glam Gifts for Grads: Colorful Rings. 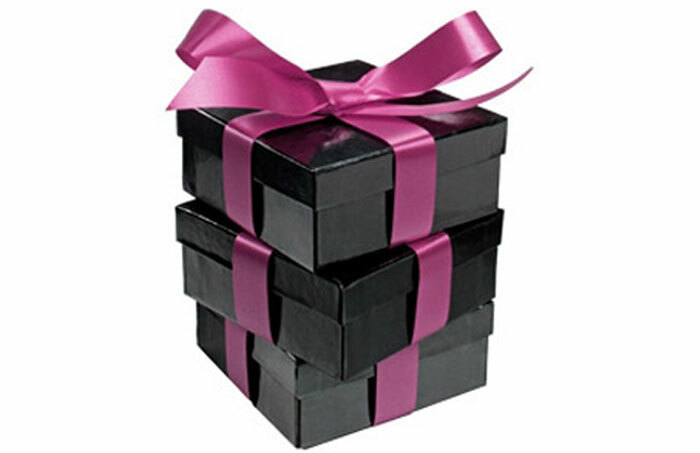 Wrapping up a gift card might not be as exciting for the giver as selecting a luscious piece of jewelry and watching the graduate’s delight while opening it. But, gift cards and all the promise they hold are pretty special for the recipient. With college tuition and student loans, new graduates don’t have much left over for treats. There’s nothing more fun than a little online jewelry shopping on someone else’s dollar. Plus, a little wardrobe pick-me-up might be just what she needs once the excitement of graduation fades and the realities of college life or a new career set in. The Best Glam Gifts for Her: Gift Cards.